Close your presentation strong with a well-placed and well-directed QR Code. 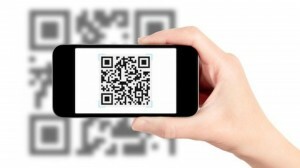 A marketer noted a recent trend in conference rooms: Placing a QR Code at the end of a presentation. Let’s say you’re making a professional presentation of some sort. You got all your slides arranged to tell your story, you’ve got your persuasive bullets working for you, you even have the minimal amount of effects to really make your key point pop. It is all working for you. Tailor your presentation one step further by slapping on an appropriate QR Code. It directs everyone in the room to what you want them to do next. Landing page for more information/my VCard/notes from the meeting/list of helpful websites/list of phone numbers it could be as simple as using you business card QR Code generator to close the sale. Your final slide lingers as you take your Q&A. That’s the place to consider how a QR Code can amplify your message long after the presentation is over. Your imagination should be led by a thought of being of service to your end user — what will be a really good thing for them to do or know after your talk? Then create a QR Code to map onto that desire. That’s the way to use QR Codes to best efficiency. Our series of eBooks, Clever Codes: How You Can Use QR Codes for Business Success, can help you figure out how to accomplish this goal. You need to to think about the perfect application to amplify your message for business success! Have a look at eBook 4, Getting Direct Feedback from your Customers. Then check out eBook 5, QR Customer Connect: Building your online mailing list has never been simpler. Finally you can use the skills from eBook 6, Remember my Name, FAME! Add new business contacts – as easy as 1-2-3!